Camano Island offers the chance to enjoy waterfront island living without having to have your own boat, or wait in line for a ferry. While it’s situated between Whidbey Island and the mainland, separated by Saratoga Passage, the northeast region of the island is linked by a bridge in Stanwood. On this large island in the Possession Sound region of the Puget Sound, locals and visitors have access to a wealth of outdoor activities, including kayaking, sailing, boating, clamming and fishing, many of which can be enjoyed right from home when purchasing Camano Island waterfront real estate. Camano Island homeowners and guests who don’t have their own watercraft can rent a sailboat, row boat, power boat or kayak nearby at the Center for Wooden Boats in Cama Beach State Park. Other popular activities on land including beachcombing, golfing on the par-27 Camaloch Golf Course, which also hosts a driving range and putting green, and hiking. The mostly undeveloped Iverson Waterfront Preserve is ideal for birdwatching. Camano Island waterfront real estate owners can also look forward to living among a thriving community of artists, with a number of art galleries as well as special arts events that are hosted throughout the year. Plenty of outstanding dining can be found here too, like the upscale Camano Island Bistro, as well as multiple casual eateries. And, when you’re looking for big city delights, downtown Seattle is just a little over an hour’s drive away. There is something for just about everyone with the many diverse options found among Camano Island waterfront real estate. 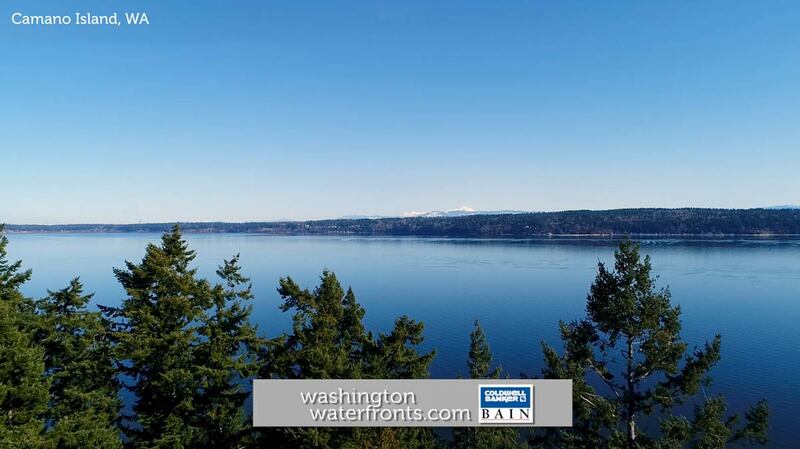 You’ll find both high bank and low bank waterfront communities, small waterfront lots and expansive waterfront acreage, and everything from cozy waterfront cottages to lavish waterfront homes and huge estates with breathtaking views of Saratoga Passage and the Olympic Mountains beyond. Take advantage of our industry-leading tools to make your property search as easy as possible and be sure to register for a FREE account so that you can receive email alerts whenever new Camano Island waterfront real estate for sale hits the market. If you're seeking to sell your Camano Island waterfront property, contact our Waterfront Specialists directly for a comprehensive listing analysis and to learn more about the cutting-edge marketing strategies we'll use to sell your home quickly for top dollar!